Please read these Terms and Conditions (“Terms”, “Terms and Conditions”) carefully before using the https://www.ebossrecruitment.com/ website and the eBoss Recruitment Software and mobile application (the “Service”) operated by eBoss Online Recruitment Solutions (EBOSS) Limited (“us”, “we”, or “our”). At the end of each Billing Cycle, your Subscription will automatically renew under the exact same conditions unless you cancel it or eBoss Online Recruitment Solutions (EBOSS) Limited cancels it. You may cancel your Subscription renewal either through your online account management page or by contacting eBoss Online Recruitment Solutions (EBOSS) Limited customer support team. A valid payment method, including credit card or direct debit mandate, is required to process the payment for your Subscription. You shall provide eBoss Online Recruitment Solutions (EBOSS) Limited with accurate and complete billing information including full name, address, state, post code, telephone number, and valid payment method information. By submitting such payment information, you automatically authorise eBoss Online Recruitment Solutions (EBOSS) Limited to charge all Subscription fees incurred through your account to any such payment instruments. Should automatic billing fail to occur for any reason, eBoss Online Recruitment Solutions (EBOSS) Limited will issue an electronic invoice indicating that you must proceed manually, within a certain deadline date, with the full payment corresponding to the billing period as indicated on the invoice. eBoss Online Recruitment Solutions (EBOSS) Limited may, at its sole discretion, offer a Subscription with a free trial for a limited period of time (“Free Trial/Test Drive”). At any time and without notice, eBoss Online Recruitment Solutions (EBOSS) Limited reserves the right to (i) modify the terms and conditions of the Free Trial/Test Drive offer, or (ii) cancel such Free Trial offer. Certain refund requests for Subscriptions may be considered by eBoss Online Recruitment Solutions (EBOSS) Limited on a case-by-case basis and granted in sole discretion of eBoss Online Recruitment Solutions (EBOSS) Limited. We provide an application programming interface (“API”) to enable you to access and use elements of the Service by automated means. We shall have no obligation under these Terms or otherwise to provide support, training or advice in relation to: (i) the configuration of your systems to make use of the API; or (ii) any other matter relating to the API. If we do agree to provide support to you in relation to the API, then we may discontinue that support at any time. 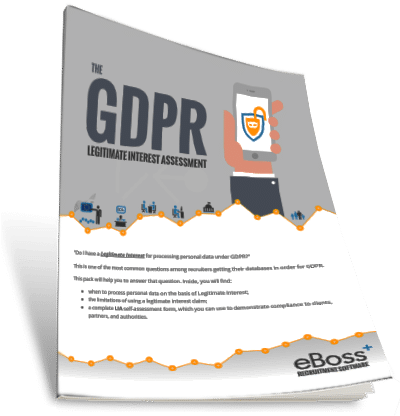 The Service and its original content (excluding Content provided by users), features and functionality are and will remain the exclusive property of eBoss Online Recruitment Solutions (EBOSS) Limited and its licensors. The Service is protected by copyright, trademark, and other laws of both the United Kingdom and foreign countries. Our trademarks and trade dress may not be used in connection with any product or service without the prior written consent of eBoss Online Recruitment Solutions (EBOSS) Limited. Our Service may contain links to third-party web sites or services that are not owned or controlled by eBoss Online Recruitment Solutions (EBOSS) Limited. 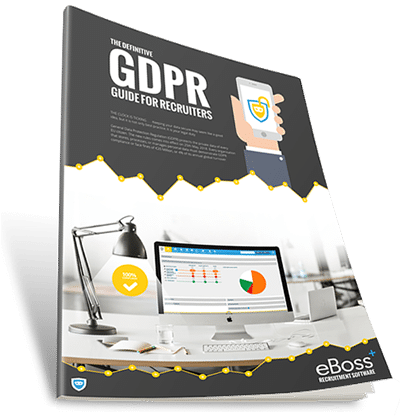 eBoss Online Recruitment Solutions (EBOSS) Limited has no control over, and assumes no responsibility for, the content, privacy policies, or practices of any third party web sites or services. You further acknowledge and agree that eBoss Online Recruitment Solutions (EBOSS) Limited shall not be responsible or liable, directly or indirectly, for any damage or loss caused or alleged to be caused by or in connection with use of or reliance on any such content, goods or services available on or through any such web sites or services. You agree to defend, indemnify and hold harmless eBoss Online Recruitment Solutions (EBOSS) Limited and its licensee and licensors, and their employees, contractors, agents, officers and directors, from and against any and all claims, damages, obligations, losses, liabilities, costs or debt, and expenses (including but not limited to legal counsel fees), resulting from or arising out of a) your use and access of the Service, by you or any person using your account and password; b) a breach of these Terms, or c) Content posted on the Service. In no event shall eBoss Online Recruitment Solutions (EBOSS) Limited, nor its directors, employees, partners, agents, suppliers, or affiliates, be liable for any indirect, incidental, special, consequential or punitive damages, including without limitation, loss of profits, data, use, goodwill, or other intangible losses, resulting from (i) your access to or use of or inability to access or use the Service; (ii) any conduct or content of any third party on the Service; (iii) any content obtained from the Service; and (iv) unauthorized access, use or alteration of your transmissions or content, whether based on warranty, contract, tort (including negligence) or any other legal theory, whether or not we have been informed of the possibility of such damage, and even if a remedy set forth herein is found to have failed of its essential purpose. eBoss Online Recruitment Solutions (EBOSS) Limited its subsidiaries, affiliates, and its licensors do not warrant that a) the Service will function uninterrupted, secure or available at any particular time or location; b) any errors or defects will be corrected; c) the Service is free of viruses or other harmful components; or d) the results of using the Service will meet your requirements. Without limiting the generality of the foregoing and notwithstanding any other provision of these terms, under no circumstances will eBoss Online Recruitment Solutions (EBOSS) Limited ever be liable to you or any other person for any indirect, incidental, consequential, special, punitive or exemplary loss or damage arising from, connected with, or relating to your use of the Service, these Terms, the subject matter of these Terms, the termination of these Terms or otherwise, including but not limited to personal injury, loss of data, business, markets, savings, income, profits, use, production, reputation or goodwill, anticipated or otherwise, or economic loss, under any theory of liability (whether in contract, tort, strict liability or any other theory or law or equity), regardless of any negligence or other fault or wrongdoing (including without limitation gross negligence and fundamental breach) by eBoss Online Recruitment Solutions (EBOSS) Limited or any person for whom eBoss Online Recruitment Solutions (EBOSS) Limited is responsible, and even if eBoss Online Recruitment Solutions (EBOSS) Limited has been advised of the possibility of such loss or damage being incurred. We will act only on your instructions in relation to the processing of any personal data that we perform on your behalf in the provision of the Service; and we warrant to you that we have in place appropriate security measures (both technical and organisational) against unlawful or unauthorised processing, and against loss or corruption, of that personal data.